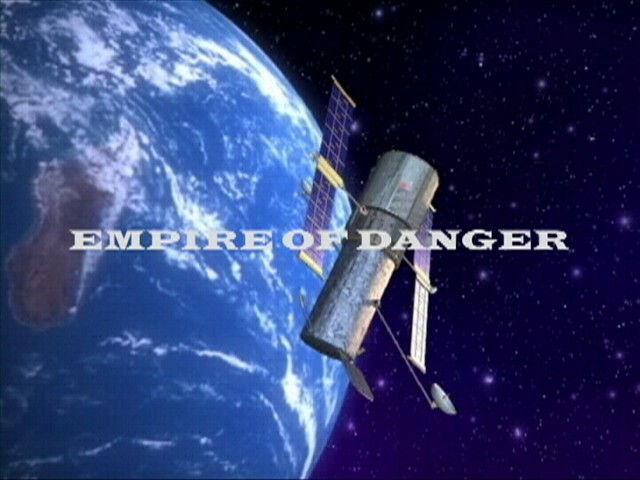 Lost on Mars and Empire of Danger Movie Trailers. The first ship designed to go to Mars is scheduled for a routine planetary space exploration. The mission is drastically changed once Earth receives a strange signal transmitted by a probe on Mars. Once the three young astronauts land on Mars, they find a device that sends them spiraling back to a time when the ruthless Siperion Empire controls Mars. Their only chance of escaping from the past is to find the time device that brought them there in the first place. Approx 87 CAST OF LOST ON MARS : KELLI WILSON, DAVID LONG, MEGAN GLOSSER, GRETCHEN MAXWELL, ERIC SHOOK, JULIA GOMMELL, BRITTANY WISOVATY, BEVERLY RANKIN, JUSTIN HEMMING, AMBER DISTLER, MICHALE DWIGGINS, AND JOHN T. OERTLING. A newly designed spacecraft capable of going through time is sent to Mars to rescue a crew previously lost on Mars. The ship is sent through the past but to the wrong time, years later than the first crew. Once they land on Mars, the crew finds that it is a place where Bararians rule. The leader of the Barbarians is a female battle warrior named Giza that wants their ship to use as her own chariot through time where she hopes to steal the ancient power of the Masha. With that power, she will gain complete control of the Siperion Empire. CAST OF EMPIRE OF DANGER : TRACI ALMS, TATUM GREEN, CALEB HOWALD, CINDY TOZER, STEPHANIE HUNSICKER, DARKEITH LOFTON, JAYSON JOHNSON, ADAM KENNEDY, ERIC SHOOK, MIKE DAVIS, HEATHER MYERS, BEVERLY RANKIN, RANDY MILLER, LESTER FORNSHELL, MIKE MORRISON, MELLISSA SCHUTZBACH, DEREK ALMS, STEVE RANKIN, ANDREA MELTON, BRENDA ALEXANDER, LISA LOVE, ROGER ANDERSON AND JUSTIN ROLEY.